Police protect ballot boxes during an election. The 2019 elections will be fiercely fought across the states of Nigeria and the police are aware of this. Politicians will try to play tricks, promote violent and device all sorts of illegal means just to win at the polls, but the police say they are ready to checkmate them. The Cross-River Police Command has particularly said it will not tolerate any form of thuggery promoted by politicians and party supporters during the 2019 general elections. The State Commissioner of Police, Hafiz Inuwa, gave the warning on Tuesday in an interview with the NAN in Calabar. He said that the police will not fold its hands and watch any politician or group of youths carry arms before, during and after the elections. According to him, the police will arrest and charge to court any politician or youth caught perpetrating violence. “The Federal Government and the Nigeria Police are committed to a crisis free general election in Nigeria in 2019. “As a security agency, we will do our best in ensuring that the 2019 general election goes peacefully in Cross River. “I want to specifically advise the youths not to allow themselves to be used as thugs by some politicians who are desperate of clinching to power in 2019. “I wish to also solicit the cooperation of the public through the provision of timely and useful information to all divisions of the command across the state with a view to help us respond to distress calls on time,’’ he said. 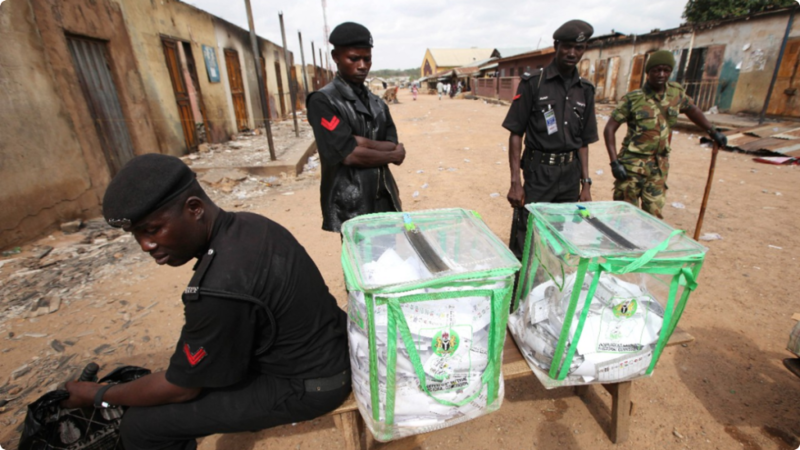 The Commissioner assured all political parties of adequate security during the polls.